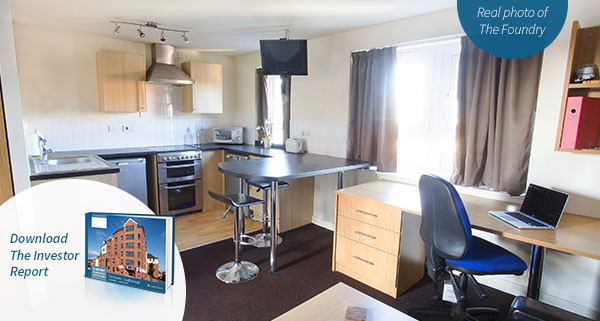 The Foundry is a fully operational student development in the heart of Loughborough. Just a short walk from the university?s large campus, the property is perfectly located next to the town centre and parks. Founded in 2008, we are an established property investment consultancy with offices in London and Dubai. Our proven business model has provided numerous investors with sector-high yields and robust investor security.